What podcast treats you to a musical outro of Oran "Juice" Jones? US GUYS! 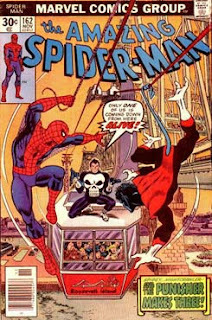 For Crusader Chronicles 18 features Amazing Spider-Man #162 and we need your help: the boys were split down the middle with voting it either a 3 or 4 so help us break the tie! Vote for team Yard Sale Artist if ASM #162 was a 3 or team Cool Dudes (Pat and Jason) if the issue was a 4! Thank you for listening and we hope you have enjoyed this episode of the Longbox Crusade: Crusader Chronicles.